What’s better? To replace historic windows with new,low-emissivity windows and save energy? Or to keep the windows with their historic character and not save as much energy? The debate rages between preservationists and designers-environmentalists, but there is a middle ground: renovating historic windows for the same performance as new windows. And there’s a substantial argument for saving them. Not only do they add character that makes a house unique, but old windows are generally thicker and last longer than today’s windows, says the National Trust for Historic Preservation. Plus, as preservationists like to say, the greenest building (or window) is the one already built. No trips to the landfill. No new resources used. 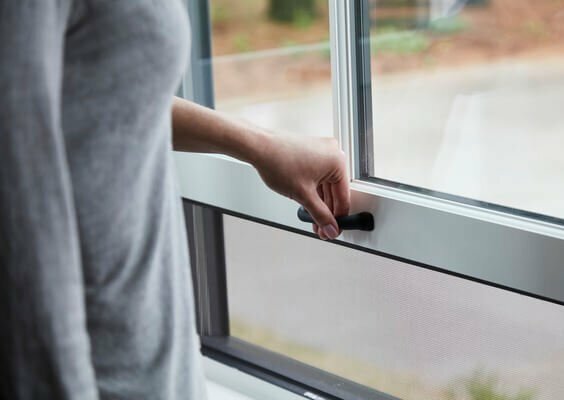 Take a look (gallery above) at some of the ways that you can update your windows for energy efficiency, for a win-win situation. Hey, this is Chicago. So when the weather’s finally nice, we don’t want to miss a minute of it, right? That’s where I come in. The first spring day you throw open your doors and windows, I want those doors and windows to work perfectly and be beautiful. 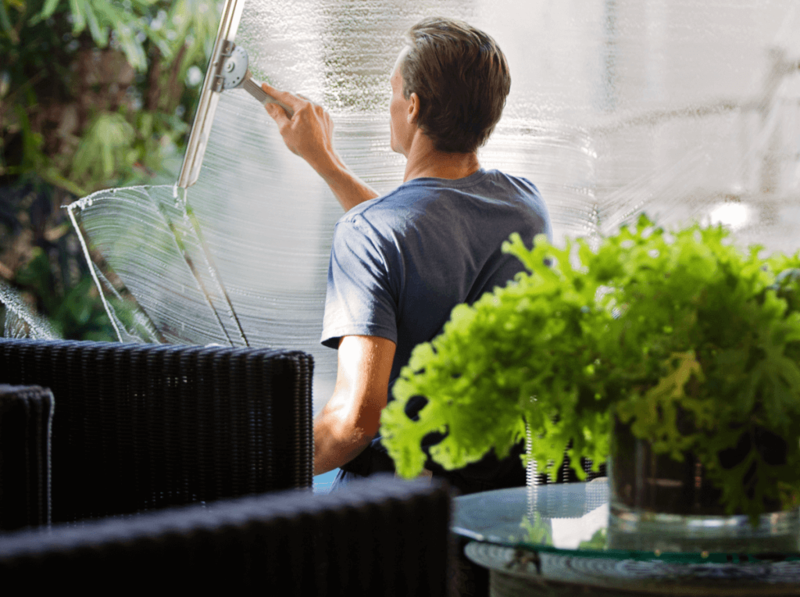 A little maintenance goes a long way in ensuring your windows and screens stay serviceable. One of the best and simplest things you can do is wash them gently on a regular basis—like now, as the seasons change. You’ll hear a lot of tips about the best ways to wash windows, including using ammonia, vinegar, newspapers, and so on. OK, whatever. You can also do a fine job with just a bucket of water, dish soap, a sponge, squeegee, and dry rags. But hey—I’m a simple guy. 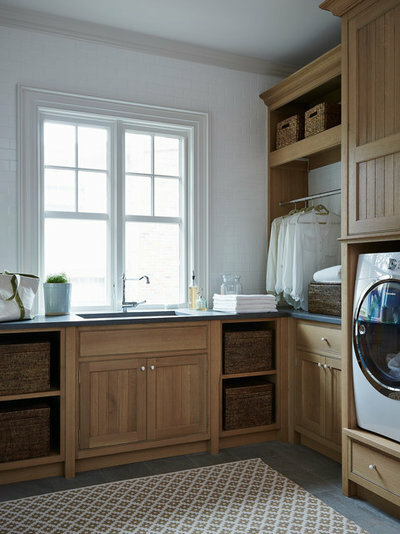 To get started, first put down some towels if you’re washing windows indoors. Into a bucket of warm water, squeeze a few drops of dishwashing liquid. Wet a sponge in the bucket, squeeze out most of the water, and wash down the window. Grab your squeegee and a clean, dry rag. Making sure to get into the corners and along the edges, pull the squeegee across the wet window, wiping it dry with the rag after each pass. Be careful to catch any drips, and change rags often. 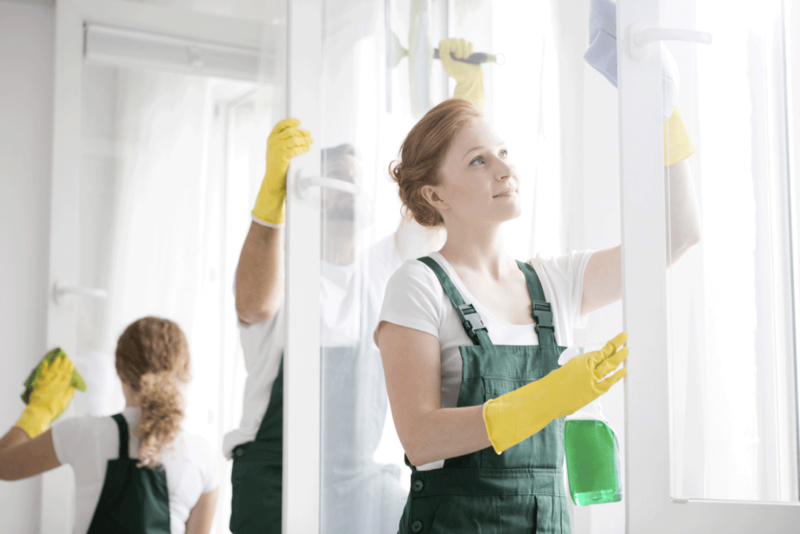 For best results, wash windows on a cloudy, cool day so the window can’t dry before you wipe it down. Like windows, screens need love to look and perform their best. Whether you live in the busy city or leafy suburbs, stuff in the air accumulates on your screens. Eventually, that dirt starts to break down the screen material, making it brittle. Regular washing removes the gunk. Less dirt will blow into your house on the breeze and your screens will last longer. Here’s the best way to wash screens: Put some lukewarm water in your bucket and add a little dish soap or white vinegar. If you can take your screens down, wet them with a hose or spray bottle. Scrub gently with the soap solution; then rinse. Let the screens air-dry. If you can’t take the screens down, start by vacuuming them well. Then wipe them with a soft rag or sponge dipped in soap solution. Be sure to put down towels to catch run-off. Wipe away soap residue with clean water; then dry, using a lint-free cloth. My job is installing great doors and windows to your satisfaction. Your job is caring for those windows and doors so they keep working well. (But we can help).Spring is an important time for window and screen maintenance. It’s also a great time to replace any windows, doors or screens that don’t make you completely happy. Please give us a call with any questions. We’re ready to serve you and estimates are free. To schedule, a consultation visit our scheduling pagehttps://mccannwindow.com/schedule-free-consultation-windows-doors/ or call (847) 562-1212. When it comes to choosing a new window or door, McCann is honored to be a Pella Platinum Certified Contractor. This industry recognition means we’re one of an elite group of remodeling companies nationwide. Pella Platinum Certified Contractors have been tapped as peer leaders in the field because of our track record for superior service and sales. The certification is a mark of high quality and exceptional technical skill. OK, that’s nice for us—but what’s it to you? 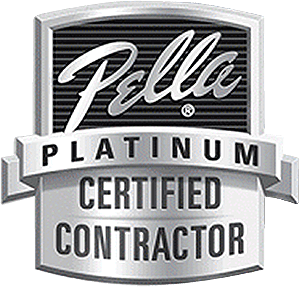 Our Pella Platinum Certified Contractor status gets you optimum service and pricing. As one of our customers, you enjoy some of the benefits Pella extends to us as Platinum-certified. 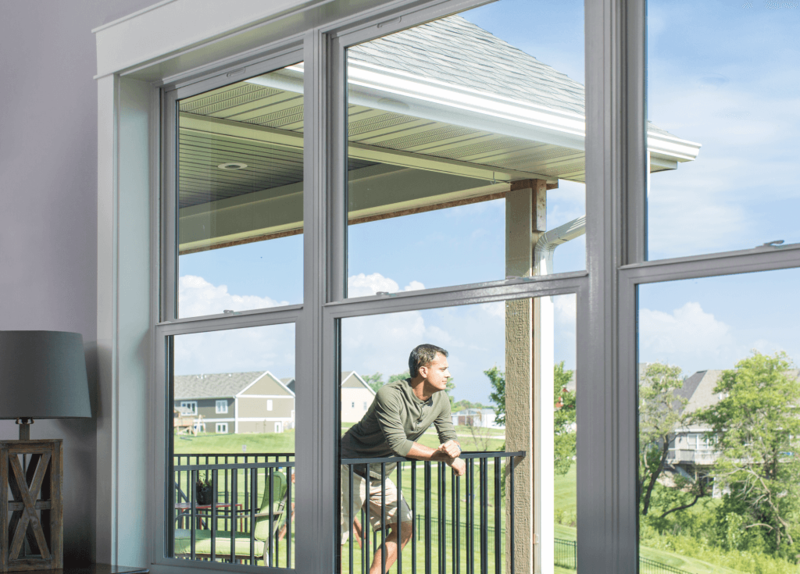 Because we’re valuable to Pella, they give McCann Window orders optimum pricing and handling. We’re happy to pass on those advantages to you. It’s only fair: You made us successful, so we’re sharing the rewards. Please know, though, that when you work with us, we’ll always recommend and install the product that’s exactly right for your home and budget, whomever makes it. We represent all the leading home remodeling product manufacturers. Spring means the return of better weather and enjoying your home both indoors and out. 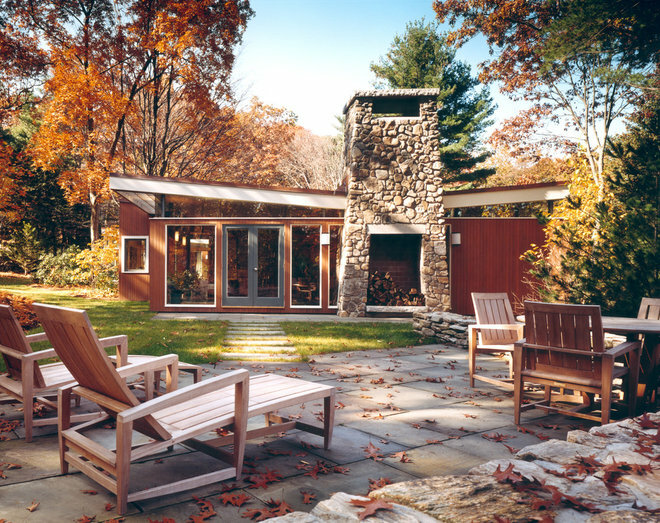 At McCann Window & Exteriors, we’d be honored to be your partner in creating exactly the space that makes you happiest in any season. Please give us a call with any questions. We’re ready to serve you and estimates are free. Visit https://mccannwindow.com or call (847) 562-1212. Picture windows, those large fixed windows typically without glazing bars are a great way to bring in light and/or highlight a special view. 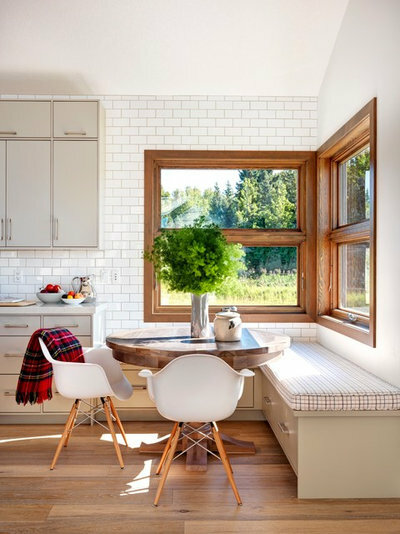 Preservationists may holler at the idea of picture windows in certain styles of historic homes, but, as with anything, there is a time and a place for picture windows. Especially appropriate in modernist homes, picture windows can help create a focal point for a room, which is helpful in spaces lacking architectural detail. And let’s not forget the aforementioned unobstructed views — both outward and inward. While we mostly think about the view from inside looking out, early picture windows were viewed as an opportunity to exhibit a favorite vase, lamp or special accessory as people looked in from the outside. Talk about a focal point! This may not be a large room, but installing such a window really makes an impact on this landing. I think I’d plop down on that window seat and forget why I was ever going up or down the stairs. There is nothing I love more than dining al fresco. On days when it’s inappropriate (or impossible) to sit outside for meals, I notice I scoot my chair closer to the window to absorb as much sunlight as possible and pretend I’m outside. Blur the barrier between indoors and out with amazing floor-to-ceiling (or, in this case, bench-to-ceiling) windows that bring the outside in emotionally, even when you can’t be there physically. 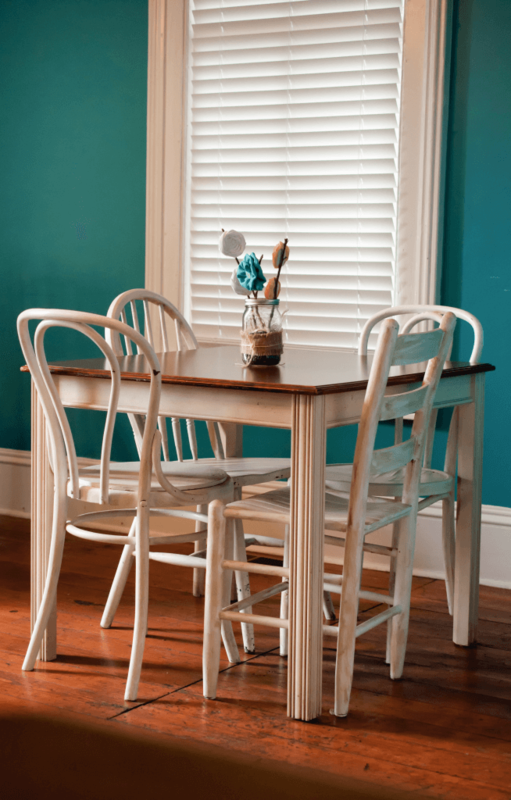 If you’re not ready to do away with classic windows altogether, but want to achieve an unobstructed view, I think this approach hits the jackpot. 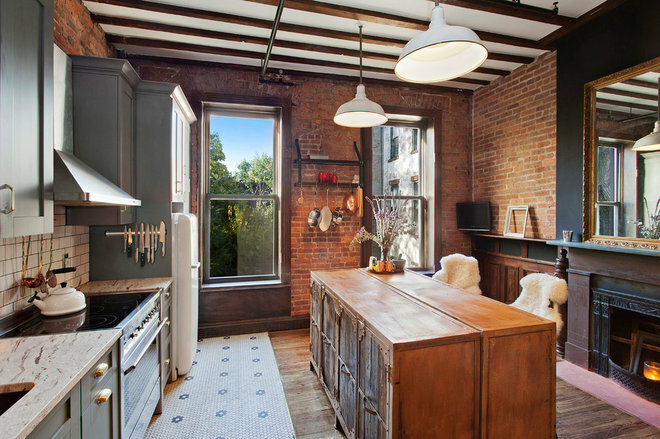 Doing dishes doesn’t seem so horrifyingly annoying when you get to gaze out onto a forest of greenery, does it? I’m all for windows in the bathroom. There’s really nothing like having a natural light-flooded bathroom to make you feel like you’re king or queen of the world. They may present an insulation/moisture-leaking issue, but a picture window is a wonderful feature. Deciding to replace your windows is a little like getting married: You’re making a big investment; you’re going to live with your decision for a long time; and you want whatever you choose to make home lots more pleasant. How Do I Know If I Should Replace My Windows? Again, this is a little like getting married: Sometimes you just really want to, and sometimes, by golly, you have to. So, how can you pick wisely? We have a few tips we hope will ease the process. 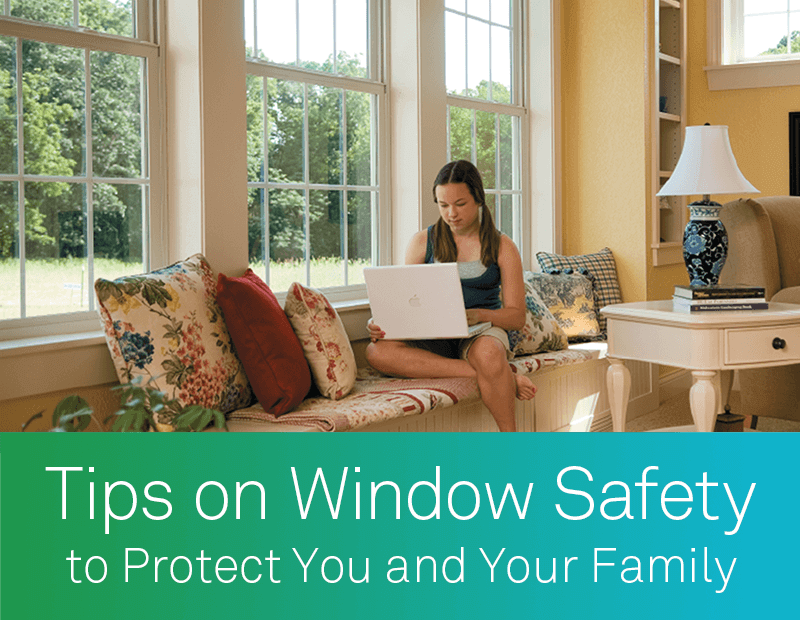 Chances are you know if you must replace windows. High energy bills, windows that fog up or won’t open, drafty rooms, water leaks, rotted wood, and bugs sneaking in are all signs it’s time to act. The good news is that new windows add to the resale value of your home. So you’re likely to get your investment back if you pick windows that fit the style and price range of your home. Not every problematic window needs replacing, though. First, know that replacing old windows won’t automatically give you a snug house. You may get more payoff more quickly by adding insulation and sealing air leaks. Second, if the window is basically sound, it’s often possible to strip off old finishes and re-paint or re-stain the window. Even glass that fogs up can be resealed without replacing the entire unit. If, however, you can tell you have significant problems like wood rot, it’s time for the old heave-ho, in my book. Still not sure? A conversation with a general contractor can help clarify your options. I Think I Want New Windows. Now What? If you hire a professional to replace your windows, understand that you’re buying two things—the window itself and the team installing the window. To cut costs, some folks buy their own windows and then hire a handyman to put them in. That works, but there are advantages to working with window replacement specialists who have all the tools and procedures for doing the job very quickly and well. Next question is: Who’s doing the work? You or a professional? If you’re considering DIY, the web sites of manufacturers such as Pella, Marvin and Anderson will help you think through your choices. The website of the Efficient Windows Collaborative is another useful resource. You can also check with Consumer Reports to get replacement window ratings. 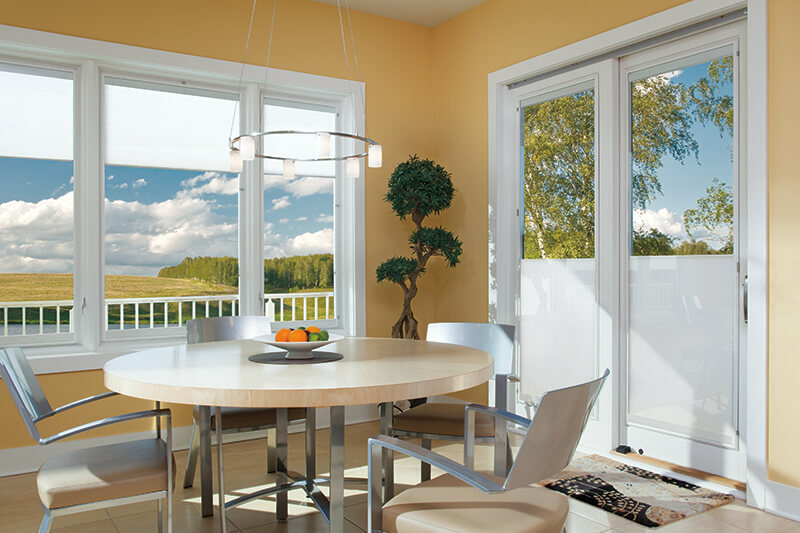 Finally, the National Fenestration Ratings Council provides information on the energy-efficiency of different window products. Once you’ve done some research, a visit to your local home improvement store is probably in order. Even among window replacement specialists, you have choices. The big, brand name companies such as Pella, Marvin, or Anderson have local franchises that focus on their products. Then there are smaller, local firms that may lead with a particular brand but also represent a variety of manufacturers. They can discuss many different products with you so that you find what’s best for your situation. If I Hire a Replacement Window Company, How Do I Know They’re Good? In a word: Research. Talk to your neighbors. Visit sites like Angie’s List, the Better Business Bureau, and Yelp. Experts recommend getting bids from at least five installers. Be sure to give each installer the same specs so that you get bids you can compare. Many people don’t realize that replacing the window does NOT automatically include replacing the structure around the window. So ask all the hard questions about exactly what the installer will and won’t do. Then, check credentials. Any installer should be able to produce his contractor’s license, certifications, insurance bond, trade association memberships, contact information, project portfolio and office address upon request. Finally, as you negotiate your project, be straightforward about your budget. You might find a deal if someone wants to drum up business during the slower winter months. And don’t forget to check for follow-up policies, extended warranties, or discounts. The good news is that window replacements can be done in any season. No need to wait for warm weather! So now could be the perfect time to beat the rush and get a jump on your next home improvement project. It’s true: We have a thing for windows at McCann Window & Exteriors. Can you blame us? Beautiful windows are what we do. They’re our passion. This month, I wanted to share with you a few of what I think are some of the world’s great windows. Each one shows incredible creativity. And I think each proves the power of windows to beautify a space and change your experience of it. They prove that windows are for so much more than just looking through! I believe stained glass windows are gorgeous under any circumstances. 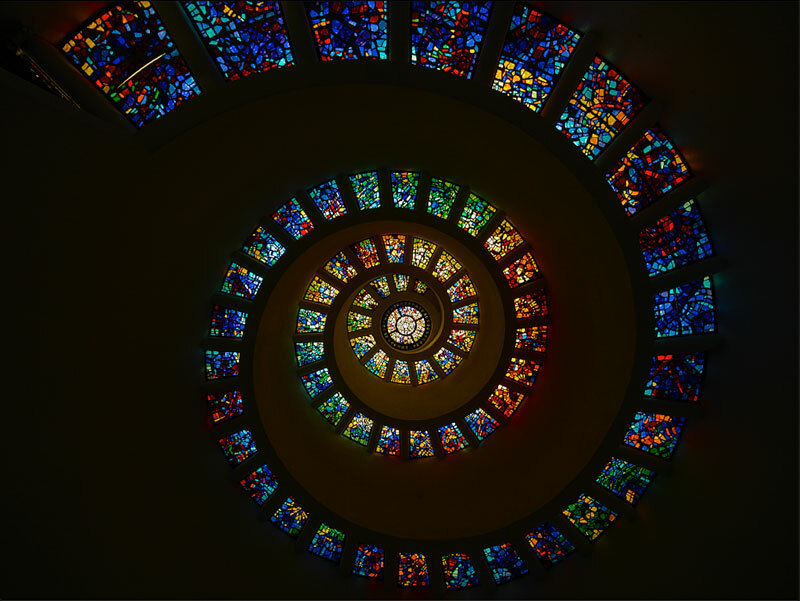 But these are some of the most beautiful stained glass windows ever. What’s amazing is how much glass is in this chapel and how little stone structure is holding it up. The effect is incredibly delicate, but the windows are more than 750 years old and have survived several wars. So let’s hear it for the strength and durability of glass! Also, I take off my hat to the architect of Sainte-Chappelle. No one knows who he was, but anyone who thought windows were that important is a guy after my own heart. This time of year, I like anything having to do with Thanksgiving and gratitude. 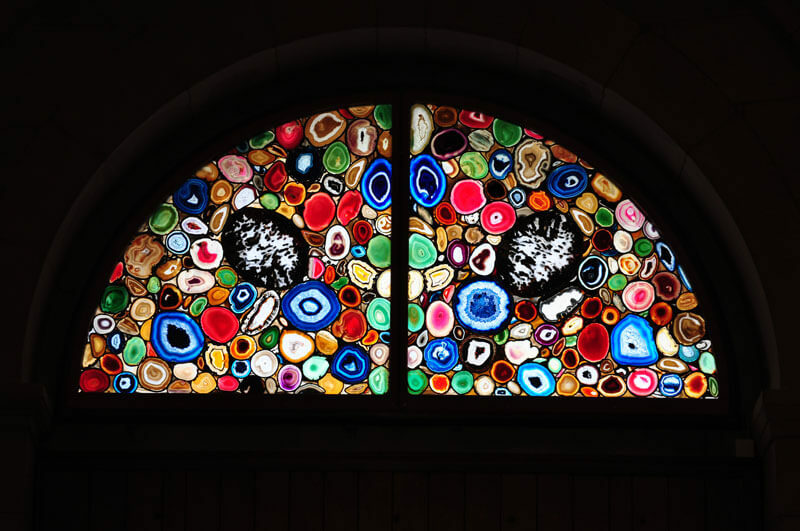 But the design of this Glory Window knocks me out. It’s in the shape of a chambered nautilus, which is the seashell home of an upscale squid. I love how the design of this window draws your eyes and your attention ever higher and further in. Also, I’m a fan of perfectly executed custom window installations—and this is definitely that. Definitely not a home for the shy. Even for me, this is a lot of windows. 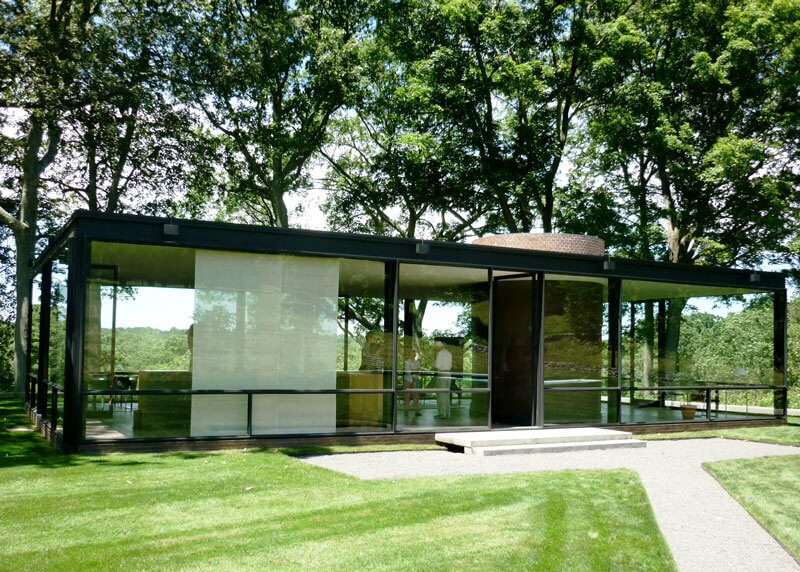 Philip Johnson was one of this country’s leading architects and he designed the Glass House as his personal residence back in 1949. It’s now part of the National Trust for Historic Preservation, so you can visit it, too. 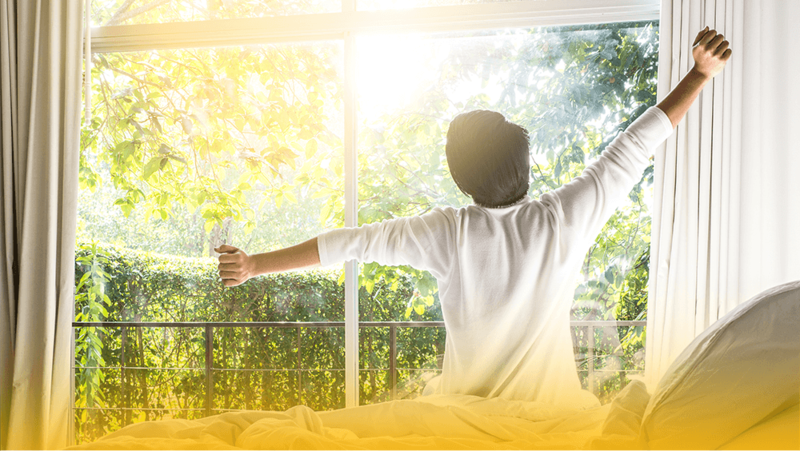 Even if you like more privacy in your living spaces than Mr. Johnson, you can appreciate how windows improve our indoors by bringing in more of the outdoors as light and natural beauty. The Grossmünster (or “great minister,” meaning “grand church”) is one of the four leading churches in Zurich. Before you say, Yikes—more stained glass, please note these windows aren’t glass at all. In fact, they’re made of agate, a kind of gemstone, cut into slices so thin the light can shine through. I like someone who can think outside the box this way. This artist took a familiar problem—filling a window opening—and solved it in a creative, effective manner that’s also strong, functional, and lovely to look at. To me, that’s windows done right. 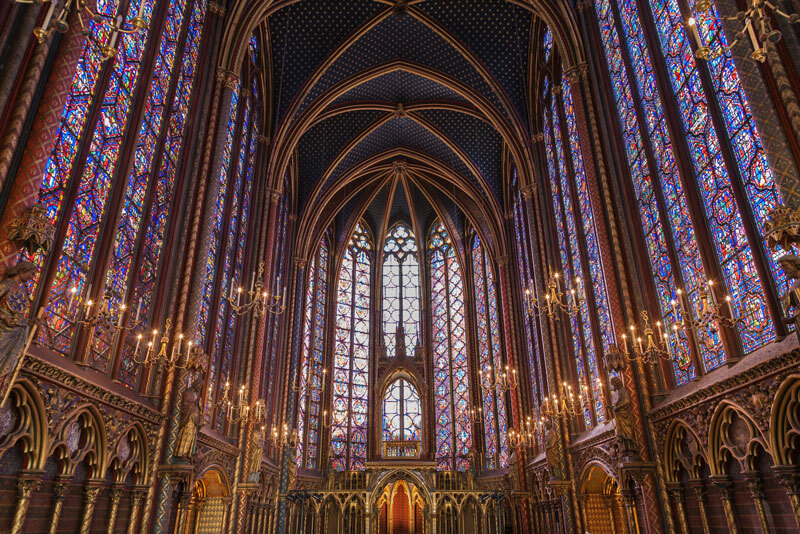 No need to get on a plane to see magnificent windows. One of the world’s most beautiful is right in downtown Chicago. 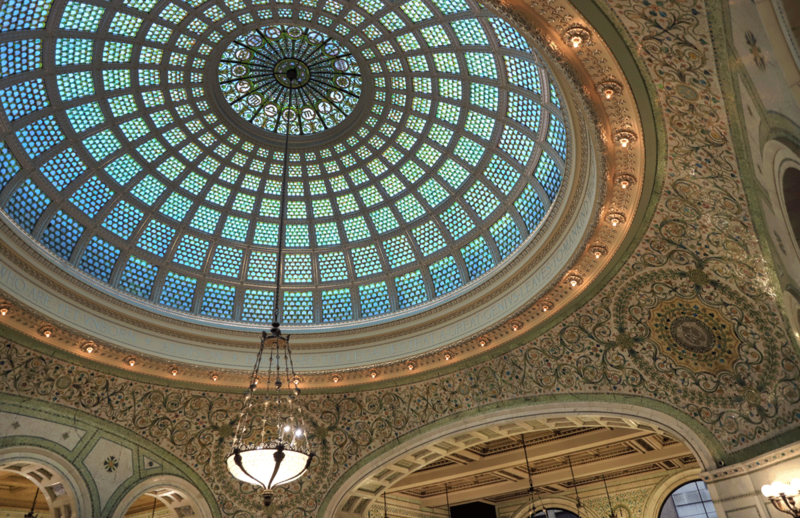 The Chicago Cultural Center at 87 East Washington Street boasts an 1897 Tiffany glass dome atop its Preston Bradley Hall. There are 30,000 individual panes of glass in the window. Just thinking about installing 30,000 panes of glass gets me a little tired, but they make this dome one of the largest of its kind in the world. Today, it’s a slight stretch to call this a window. When the dome was first installed, it did use natural light. Since the 1930s, though, the city has shielded the Tiffany glass with a protective outer dome. (Maybe in case the cultural patrons get a little rowdy.) If that’s less authentic, I think I can forgive anyone who hates to see a window broken. At McCann Window & Exteriors, we know that, of all the beautiful spaces in the world, the best is the one you call home. Please reach out if we can be of help with concerns regarding your house’s windows, doors, or siding. And know that, in this season of gratitude, we count being able to serve people like you as one of our blessings. 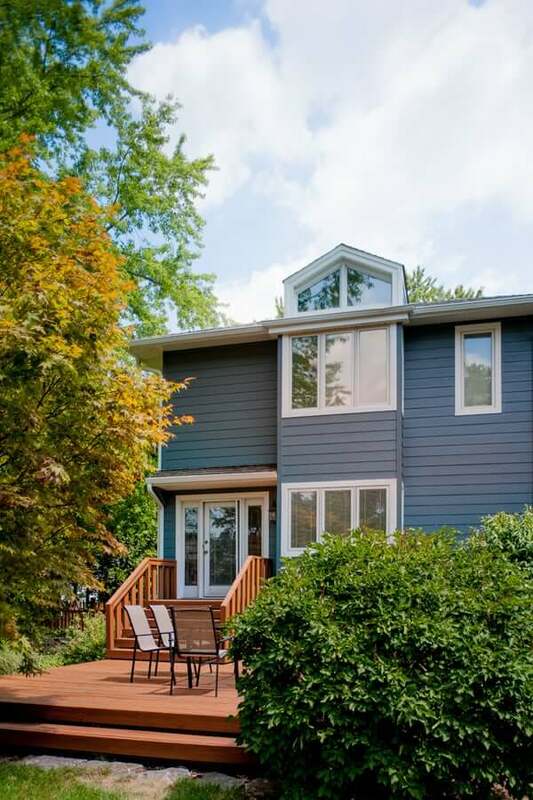 Learn more about McCann Window & Exteriors by visiting https://mccannwindow.com or calling 847-852-4513. Wouldn’t it be great if everyone went to bed at the same time as you? Unfortunately, it’s a 24/7 world—which means your quiet time might be someone else’s busy time. And that can lead to unwanted noise. Recently, we worked with a customer who owns a lovely newer townhome. It’s near a rail line; in fact, his bedroom backs right up to the tracks. Noise from passing trains was keeping him, as well as his children, up at night. He brought us a question: Could we help him make his home more soundproof? It’s not the first time we’ve been asked that. Although his issue was train noise, in other communities customers have to deal with loud street sounds or highway hubbub or airplanes landing and taking off. Let’s face it: Noise is noise. And if you can’t relax, you can’t relax. Historically, we’ve offered customers two options for noise reduction. One is a window using triple-pane glass; the other is a window with laminated glass. Both offer benefits, but both fall a little short of completely managing sound leakage. In looking for an answer for this customer, we tried something new, at his urging. This client already had triple-pane windows installed, because that is what had come with the building. So we knew that wasn’t the answer. 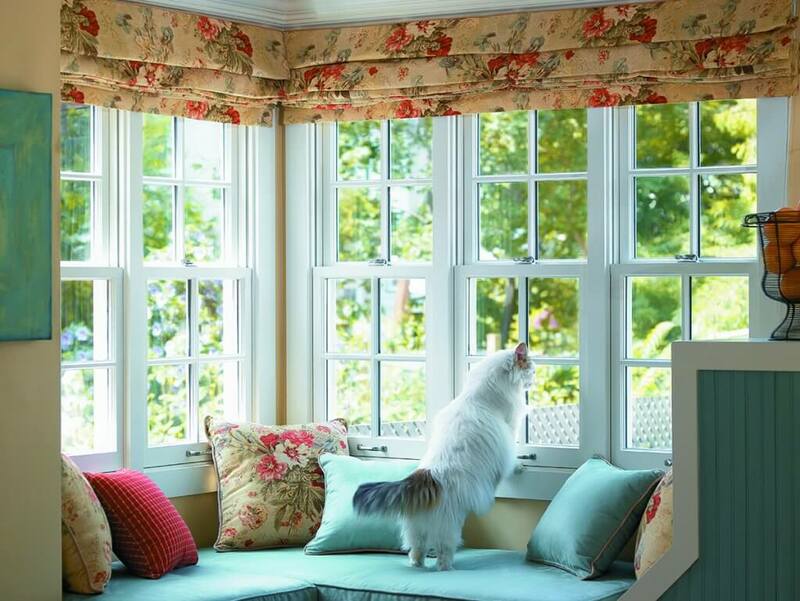 Fortunately, Pella offers window products with improved noise reduction features. It’s not just the glazing that affects sound transmission; it’s also the window frame. Pella’s Impervia Series features fiberglass frame construction, which deadens sound compared to metal frames. We then ordered double-hung Impervia dual-pane windows glazed with STC-rated insulating glass. Something to note: Each pane in these dual-pane windows is a different thickness. The exterior glass is 3mm thick while the interior pane is 5mm thick. That level of thickness makes a big difference in how much sound the windows stop. What does that “STC” rating mean? The window industry uses two measures to evaluate sound permeability. One is Sound Transmission Class (STC). The other rating is Outdoor-Indoor Transmission Class (OITC). STC ratings tend to look at higher-frequency noise, which is stuff like human voices, computer equipment, and so on. OITC ratings include lower-frequency as well as higher-frequency sounds. Noise in the lower-frequency band is much harder to screen out, but it’s also the stuff that can feel more intrusive, like construction equipment, traffic, and so on. Currently, it’s not uncommon to see both ratings posted for a product. The OITC number was designed to classify acoustics in exterior applications, while the STC rating was intended to evaluate interior partitions. So the OITC number is probably going to be the standard number in the future. If you see it, it tends to be a few points lower than STC rating on the same product, but it’s still a good sign. The good news? Ordering and installing these windows was no different than getting regular replacement windows. Having special STC glass in the frames only added a little extra to the price. Otherwise, these noise-reducing windows looked the same, worked the same, and installed the same as other replacement windows. In other words, homeowners don’t need to make a big whoop-dee-doo if they want to enjoy a higher level of peace and quiet in their homes. The products to help are readily available, no matter where they live. At McCann Windows & Exteriors, we care about the beauty and functionality of your home. 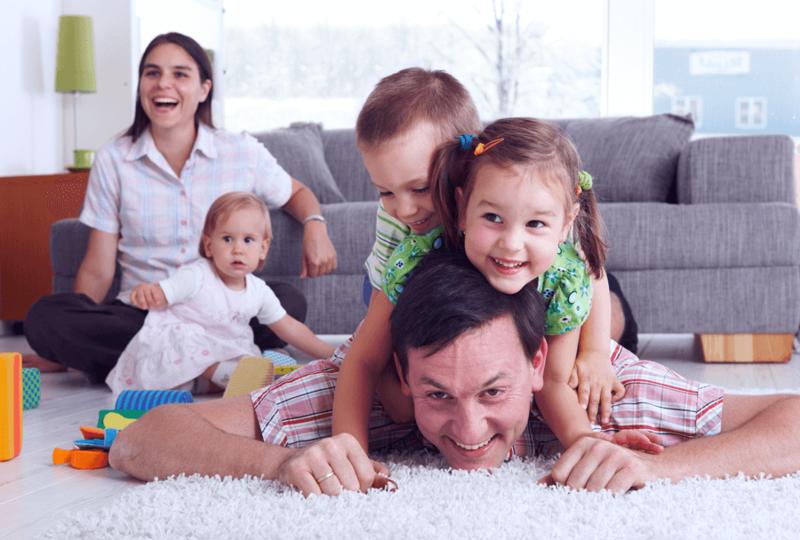 We also care about you, and how well your space is working for you and your family. After all, like you, your house should always look and feel great. Please give us a call if we can be of service. We’re ready to help and estimates are free. We like solving problems such as helping you sleep better at night. Because when you’re a satisfied customer, we sleep better, too. Please contact us here online or call (847) 892-4071. Fall is a good time to take care of big home repair projects before shorter days, ice and snow make outdoor work too difficult. 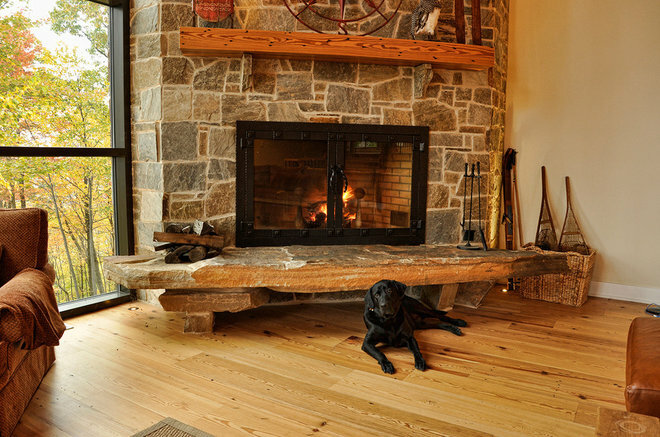 Tick these items off your list this season, and you can rest easy knowing that your home and yard are buttoned up and ready for winter! 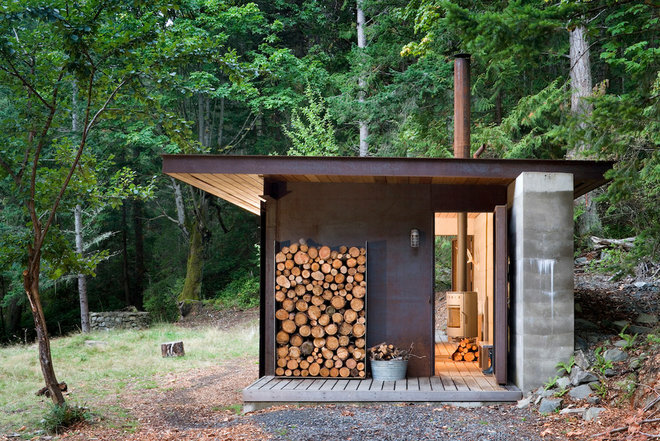 Rustic Exterior by Terra Firma Builders Ltd. Check walkways, railings, stairs and the driveway for winter safety. When the landscape is covered in ice and snow, just walking from the driveway to the front door can be a challenge. Remove window A/C units. If you use window air conditioning units in the summer, remove them before the weather turns cold. 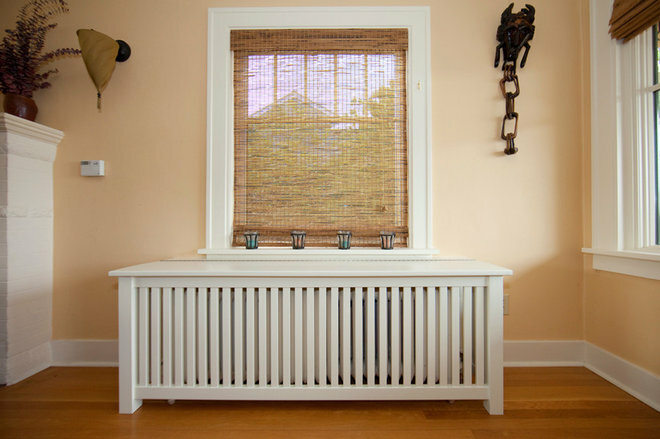 If you must leave in window A/C units, cover the exterior of the unit with an insulating wrap to keep cold air out. 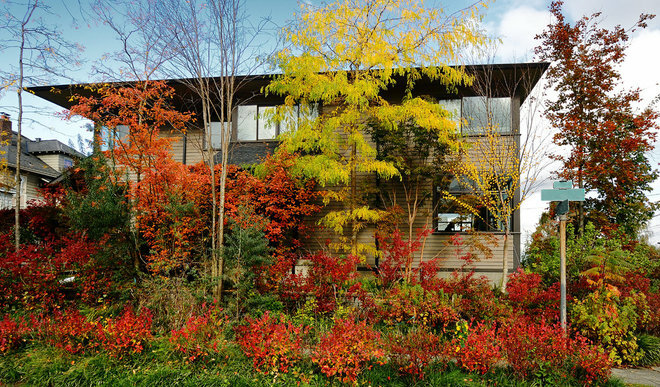 Modern Exterior by Hickox Williams Architects, Inc.
Care for trees and shrubs. If you have trees on your property, consider hiring an arborist to care for them. These pros can spot signs of poor health early on to prevent tree loss. And they know how to prune properly to avoid falling limbs in winter storms. Wash the walls and backsplash. 1. Cut a length of material about 3 inches longer than the width of your door (to allow for seams) and 6 to 8 inches wide. 2. Fold the material lengthwise, with right sides together. 3. Stitch a seam (by hand or on a sewing machine) down the long side, creating a tube of fabric. Stitch one end closed. 4. Turn the draft stopper right side out so the seams are hidden on the inside (use a yardstick or wooden spoon to get it completely turned right side out). 5. Fill with dry rice or beans. 6. Fold the open ends under and sew shut. 2. Shut off the gas if you have a gas dryer. 3. Pull the dryer slightly away from the wall. 4. Loosen the clamp holding the hose. 5. Use a vacuum attachment or lint brush made for dryer hoses to clean out the hose and behind the dryer. 6. Replace the hose, gently move the dryer to the wall (without crushing the hose) and plug it in. Conduct an energy audit. 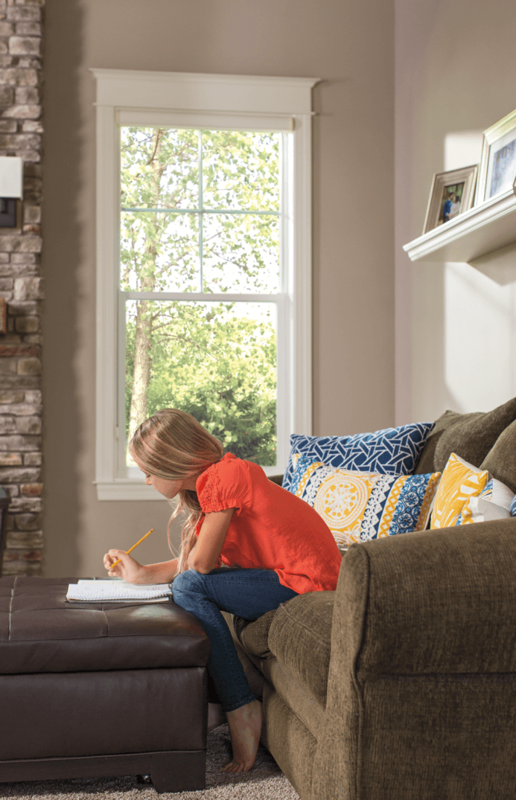 A trained auditor can assess your home’s current energy efficiency and give you a list of recommended improvements you can make, which may include upgrading to Energy Star appliances, adding insulation to the attic or beefing up weatherstripping. You can also find instructions for a do-it-yourself energy audit at Energy.gov. 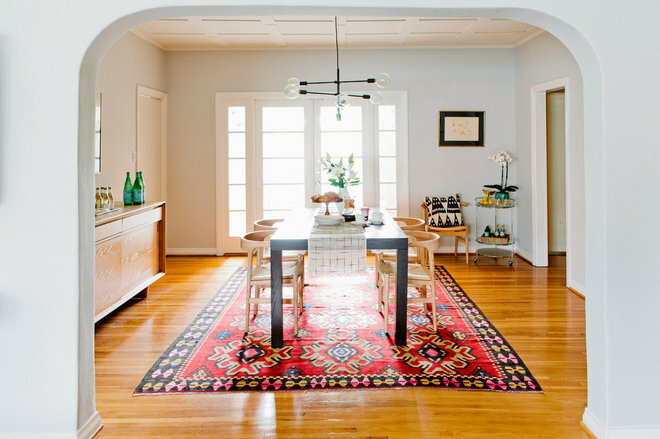 This article was republished from Houzz. Click here to view the original article.